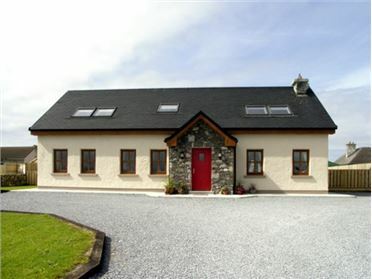 Rusheen Cottage is a cosy detached cottage in Lahinch, County Clare. 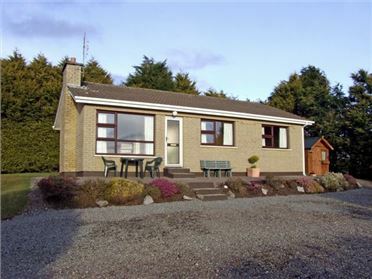 The accommodation comprises a ground floor double bedroom with en-suite shower room, ideal for the less mobile, along with a double and a twin and a shower room on the first floor. Back downstairs is the kitchen with dining area, and the cosy sitting room. Outside is off road parking for two cars, and an enclosed front garden area. 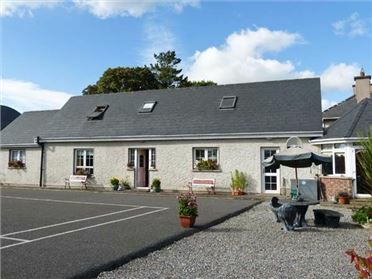 With sea views and very handy for the beach, town amenities and attractions of County Clare, Rusheen Cottage makes an attractive year-round base. 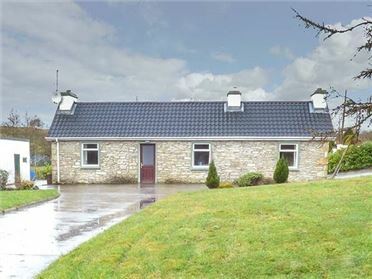 Three bedrooms: 1 x ground floor double with en-suite shower, basin and WC, 1 x double, 1 x twin. Shower room with shower, basin and WC. Kitchen with dining area. Utility. Sitting room with oil stove. Oil central heating with oil stove in sitting room. Electric oven and hob, microwave, fridge/freezer, washing machine, dishwasher, TV with Freeview, DVD, CD, selection of books and DVDs. Fuel and power inc. in rent. Bed linen and towels inc. in rent. Off road parking for two cars. Enclosed front garden with lawn and patio. Two well-behaved dogs welcome. Sorry, no smoking. Shops and pubs 5 mins walk. Beach 7 mins walk.